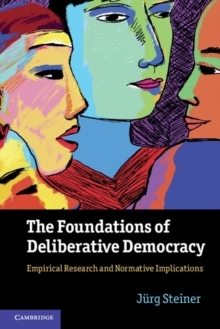 From the local level to international politics, deliberation helps to increase mutual understanding and trust, in order to arrive at political decisions of high epistemic value and legitimacy. 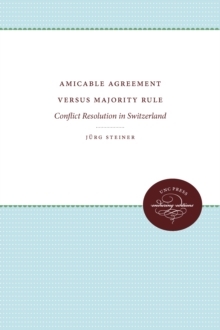 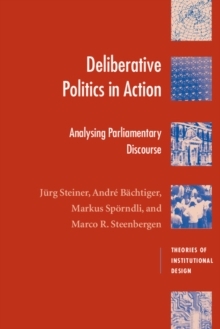 This book gives deliberation a dynamic dimension, analysing how levels of deliberation rise and fall in group discussions, and introducing the concept of 'deliberative transformative moments' and how they can be applied to deeply divided societies, where deliberation is most needed but also most difficult to work. 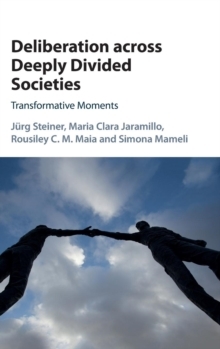 Discussions between ex-guerrillas and ex-paramilitaries in Colombia, Serbs and Bosnjaks in Bosnia-Herzegovina, and police officers and locals in Brazilian favelas are used as case studies, with participants addressing how peace can be attained in their countries. Allowing access to the records and transcripts of the discussions opens an opportunity for practitioners of conflict resolution to apply this research to their work in trouble spots of the world, creating a link between the theory and practice of deliberation.